Nano Titanium Dioxide Market was valued at $3.4 billion, and is expected to reach $16,682 million by 2022, supported by a CAGR of 20.7%. Nano titanium dioxide can be defined as the materials manufactured or engineered to have specific properties and have dimensions between 1 and 100 nanometers. It is also known by the name of flamenco, rutile, as well as dioxotitanium. These exist in three formsrutile, anatase, and brookite. They are mostly used in cosmetics (sunscreens), household products, surface coatings, and plastics. The report focuses on current market trends and future growth opportunities of nano titanium dioxide in various industries such as paints & coatings, pigments, cosmetics, plastics, energy, and others. Moreover, it analyzes the extent of applications for nano titanium dioxide in different geographies and suggests the future growth opportunities by analyzing government regulations & policies, thereby further increases consumer acceptance in that region. The market provided is based on the demand or consumption quantity across type of materials and applications at country level. Further, by conducting bottom-up approach and considering price trends the market value and volumes were derived. Growth in investment towards research and development, penetration of nano titanium dioxides in various application industries, and excellent physio-chemical properties of nano titanium dioxide drives its demand in various applications. Nano titanium dioxides are usually added in small quantities to improve the performance of the end-product. However, factors such as toxicity at higher concentration may hamper the market growth. 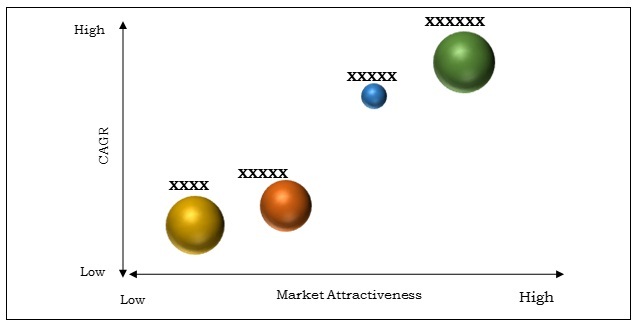 Currently, the paints & coatings, pigments, and cosmetics are the major application market for nano titanium dioxides. The demand for nano titanium dioxide witnesses significant growth in all the regions, due to its significant physio-chemical properties and opportunities that create for all players in the industry. Key players in the Global nano titanium dioxide market have adopted different business strategies such as capacity & business expansion, partnerships, mergers, acquisitions, joint venture, sales agreement, and product & application development to withstand in the global competitive market. Market players profiled in this report are nano titanium dioxide manufacturers who either use it internally in some applications or they supply it to other end-users in the industry. The data pertaining to market players and their strategic moves are gathered through press releases of respective companies, various blogs available on the website, and primary calls made to the experts in the industry. Asia-Pacific is the most attractive market for the new entrants along with industry players on account of the increase in demand for nano titanium dioxide from various application such as paints & coatings, pigments, cosmetics, plastics, energy, and others. Growth in awareness among the consumers of emerging as well as developed countries about adverse effects of UV rays and infrastructure development in the region will mainly boost the demand for nano titanium dioxide products, and this trend is expected to provide significant opportunities to the industry players during the forecast period. Titanium dioxide is one of the most widely used material, commonly found in consumer goods and daily use products such as cosmetics, paints, dyes and varnishes, textiles, paper and plastics, food and drugs, and even paving stones. Nanoscale titanium dioxides are manufactured for specific applications, is approximately 100 times finer than the TiO2 pigment and has different physical properties. Contrasting titanium dioxide, nanoscale titanium dioxide is not generally used as food additives. They commonly found applications in high-factor sun protection creams, textile fibers or wood preservatives, paints & coatings, plastics, and others. As per German Association for Cosmetic, Toiletry, Perfumery and Detergent (Industrieverband Krperpflege und Waschmittel e.V.IKW) nanoscale titanium dioxides are presently used in sunscreens only. However, recent studies have revealed that nano titanium dioxide are used in wide array of applications such paints & coatings, plastics, energy, cosmetics, and many others. The Global nano titanium dioxide market is segmented based on the application that it serves, which includes paints & coatings, pigments, cosmetics, plastics, energy, and others. In 2015, the cosmetic was the largest application segment with highest share of 33.9% in the Global nano titanium dioxide market. Nano titanium dioxide is used as a polymer additive for UV protection and to enhance the performance of plastics. Use of nano TiO2 in plastics protects products from cracking, fading, and other types of solar degradation. Increased disposable income of the countries such as China, India, ASEAN, and others drive the demand for products such as paints & coatings, cosmetics, plastics, and others. The rapid industrialization along with increase in investment in these industries contributes to the growth of the market and fuels the demand for nano TiO2 in the region. China is one of the leading countries in the Global in terms of demand and commercialization of nano titanium dioxide based products. Cristal, E. I. Du Pont De Nemours and Company, Evonik Industries AG, Huntsman International LLC, and Tayca Corporation are some of the major players in the Asia-Pacific nano titanium dioxide market. Key players profiled in this report include BASF SE, Cabot Corporation, CINKARNA Celje d.d., CRISTAL, Croda International Plc, E. I. DU PONT DE NEMOURS AND COMPANY, EVONIK INDUSTRIES AG, Huntsman International LLC, Nano-Oxides, Inc., NanoScale Corporation, and Tayca Corporation. This report provides an extensive analysis of the current as well as emerging market trends and dynamics in the global nano titanium dioxide market.